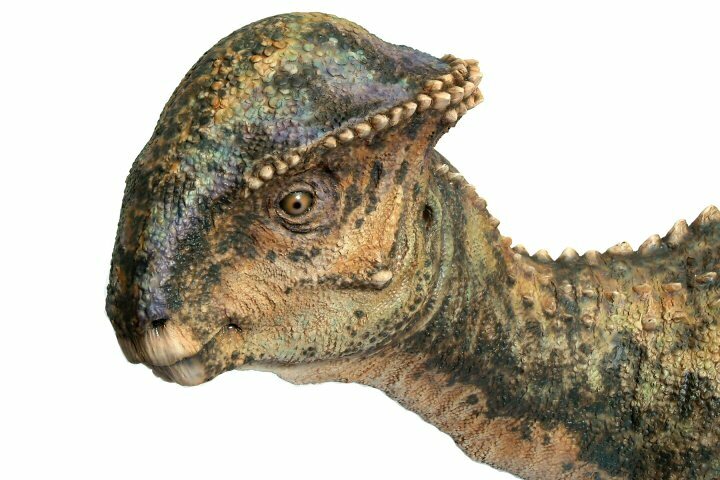 Stegoceras was a dome-headed, bipedal dinosaur that lived in herds. This plant-eater lived during the late Cretaceous period toward the end of the Mesozoic Era about 76-65 million years ago. 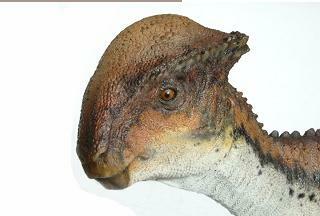 The Dome: Stegoceras' large head housed a thick skull that was about 3-4 inches (8 cm) thick. 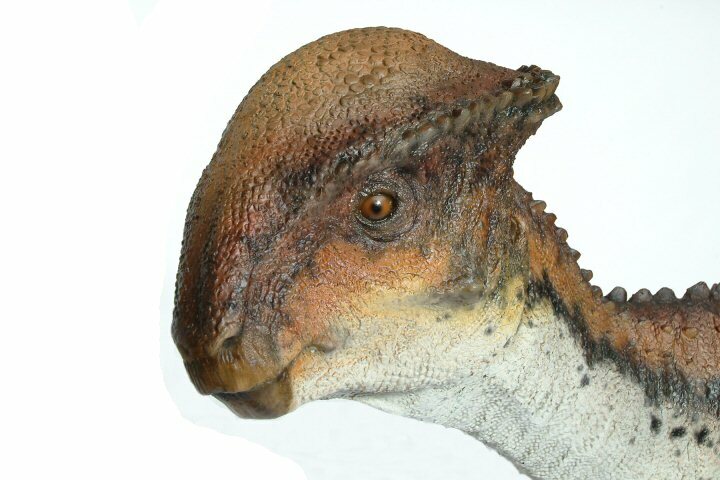 Males had thicker domes than females, and older Stegoceras had thicker domes than younger ones. Stegoceras had a fringe of horny knobs along the rear of its skull. 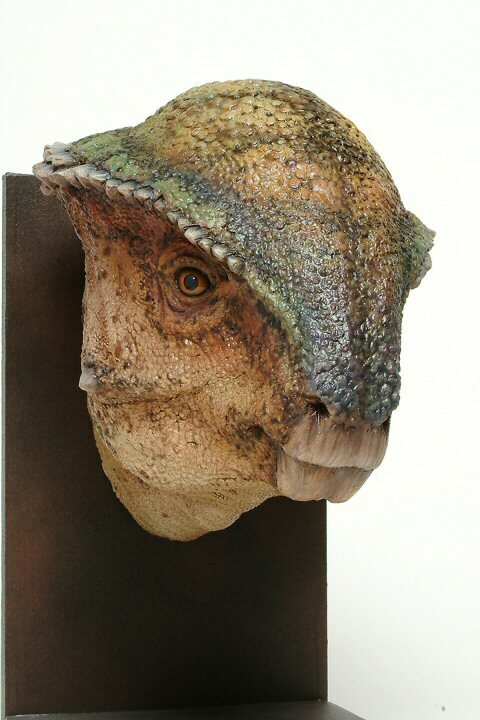 It has long been thought that Stegoceras' (and other pachycephalosaurs') thick dome may have been used for ramming rivals during mating and dominance combat, for attracting mates, and as a last-ditch defense against predators. Diet: Stegoceras was an herbivore (a plant-eater, a primary consumer). It had small, curved teeth with serrated edges, a relatively large brain, and large eyes. Anatomy: Stegoceras grew to be about 7 feet long (2.1 m) and 4 feet tall (1.2 m). This plant-eater weighed roughly 170 pounds (78 kg). 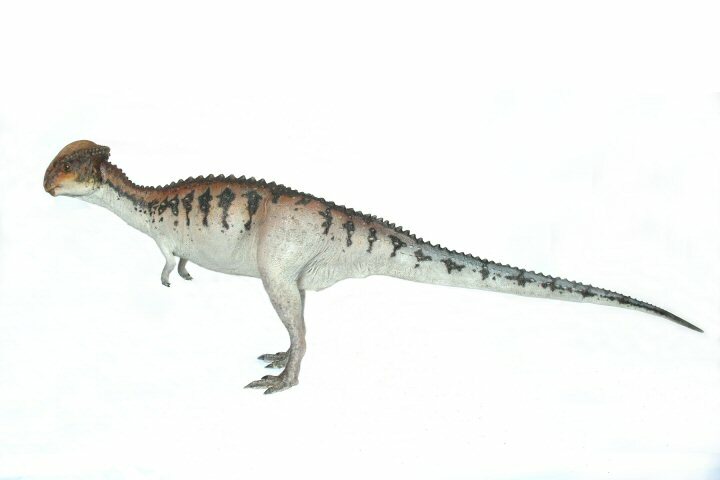 This ornithischian dinosaur had short forelimbs and a large, stiff tail. Name and Fossils: Stegoceras means "roof horn." 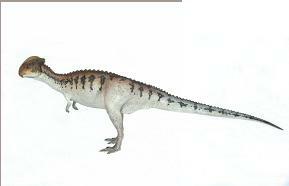 Stegoceras was first found and named in 1902 by Lawrence Lamb, the Canadian paleontologist, in 1889. 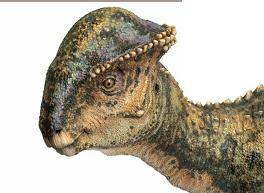 Many Stegoceras and other pachycephalosaur fossils have been found in Alberta, Canada, and Montana, USA. The type species is S. validum.